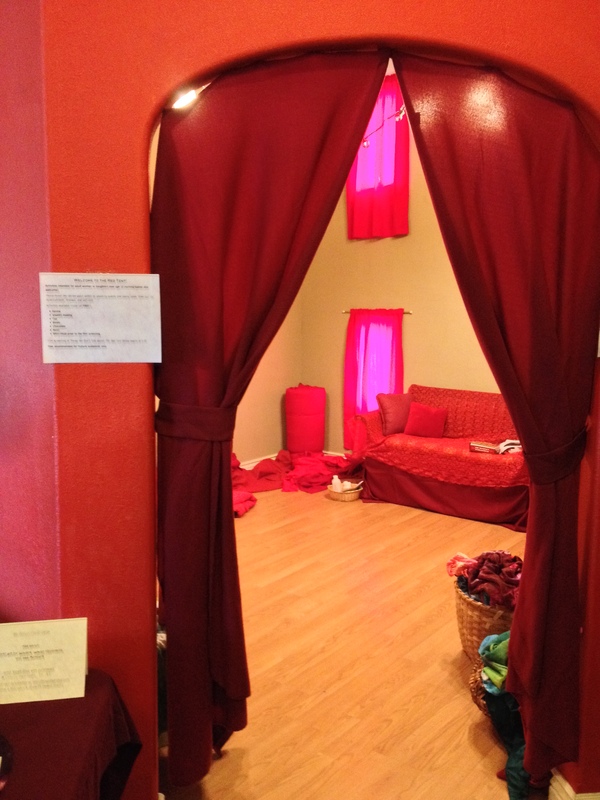 I wanted to have a Red Tent in this room! I could just feel it calling to me. The next year, when the time came to plan the event, I was dealing with a lot of different things and I knew I did not have the energy to also pull off a Red Tent event and so I tabled it again, but still, I saw that room that year and I wanted it. The following year, we started planning even earlier for Mamafest and I had been seeing posts and updates from the Red Tent Movie (Things We Don’t Talk About) and I decided I wanted to host a screening and a Red Tent event during our Mamafest this year. While there are things I would do differently in the future, notably that having a screening at the same time as another event was simply too much, I still feel so happy and pleased that I did it. I scheduled the film based on past experience in which the final half of Mamafest slows down in terms of traffic and so it seemed like the film screening would be a good way to keep people involved with the entire duration of the event. However, this year was so busy and vibrant and successful and energetic, it felt like it was actually disruptive to the flow to try to pull people away for the screening and the “calm” and contemplative energy of the film ended up not matching the celebratory, exciting atmosphere of the rest of the event. If I had it to do over again, I would absolutely do the screening separately and then offer the Red Tent space and mini-ritual during Mamafest itself. Anyway, back to set up. We arrived at Tara Day Spa almost three full hours before the event was scheduled to begin and we needed every single minute of it, plus some. I am so grateful to my husband and my friend Amy who took over most of the actual hanging of the red fabric in the Red Tent space. When I saw the finished entrance, I knew I’d fulfilled my dream! 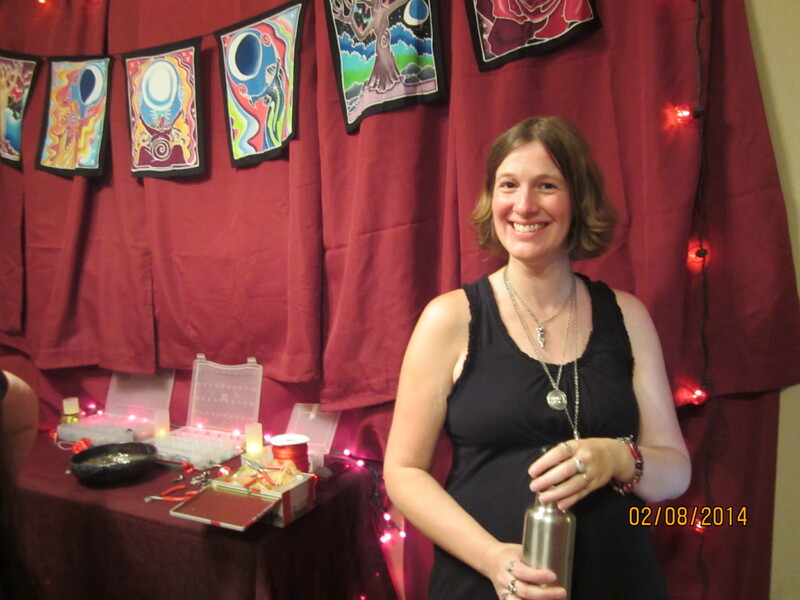 We set up the inside in an inviting manner with several little stations: a refreshment station with chocolate, tea, and bindis, a henna tattoo area, and a free jewelry making station. Due to size constraints, we actually had to make an “emergency” decision to move the screening of the film itself to the upstairs room at Tara. It was a little stressful to make this transition, but I think it was the right call. We did a mini ritual to open the film (had some technical difficulties getting the film equipment set up and I was extremely flustered to have to make this last minute switch, so that was not ideal for the mood I had wanted to create), we watched the film and then closed by circling up and singing a song together. We ended right on time and then it took more than another hour to dismantle and repack everything. This type of event is not for the faint of heart! Nor is it for pregnant women unless they have husbands and good friends to pack up most of their stuff for them! My midwife was at the event and we did a short prenatal visit in the Tent while we were taking it down. My blood pressure was reasonably normal, but my heart rate was 104 (normal for me is in the 70’s)! We also had a Brigid’s Grove booth right outside the Red Tent space (plus, I brought the materials for our LLL booth and for the RBN booth itself. My car was so full!) I had mistakenly assumed that I could move between both the Tent itself and our booth and I told Mark that I thought it was unlikely we would sell anything, or maybe just a few dollars worth of charms, so I wasn’t concerned beforehand about adequately staffing the booth itself. My focus was on the Red Tent and on giving this experience as a community service, not on trying to sell stuff. 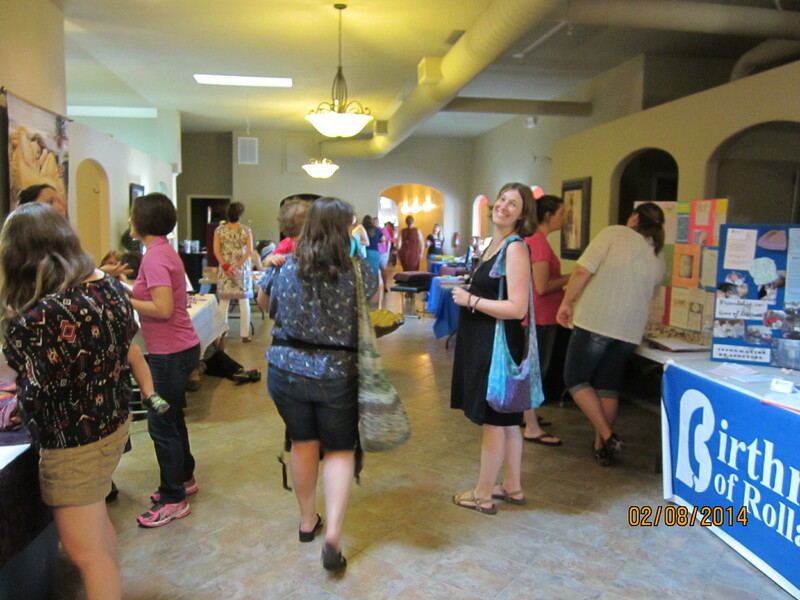 As it turned out, our booth was much busier and more successful that I ever expected (we ended up making almost as much money in just four hours at this event than we did in two 12 hour days at the La Leche League of Missouri conference in Columbia this summer!) I am eternally grateful to my friend Amy who sat at our booth most of the time and did not get to enjoy most of the rest of the event accordingly. It was not her “problem” that I couldn’t divide myself into multiple people (can’t perform that magic trick until my due date in October!) and work at everything that needed me to work at it, but she was very helpful and I appreciated it so much. If I was doing it over again, I would have asked Mark to stay to work at the booth rather than taking advantage of my friend. He assumed it was a woman-only space and it would not be really appropriate for him to stay (plus, someone needed to take care of our kids), but really our purpose is not on an event that is exclusively for women, it is simply an event focused on woman-celebration and men can certainly be involved with that! 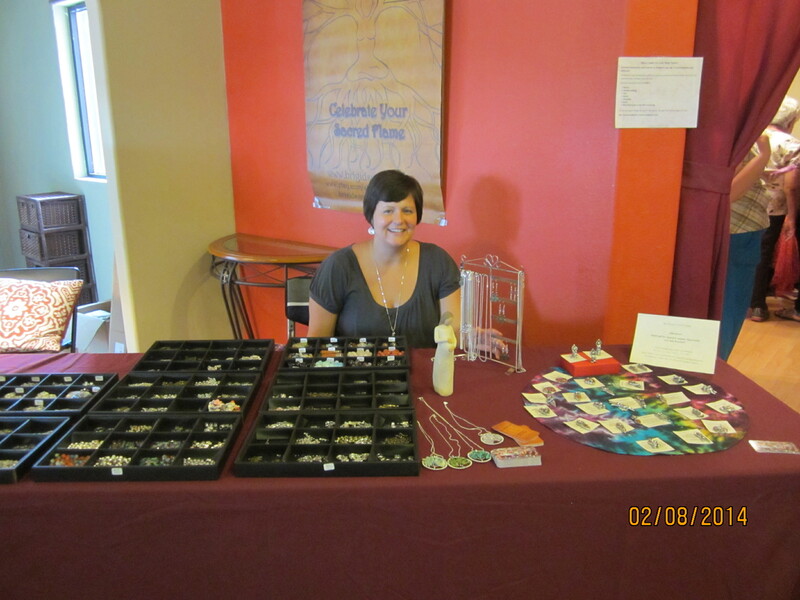 Another friend took this picture of me at my free jewelry making station. You can feel the 104 heart rate, perhaps, but also the satisfaction of mission accomplished. I did what I said I wanted to do three years ago when I saw that beautiful temple-like room sitting there waiting for me! I would like to plan an ongoing Red Tent Circle throughout 2015 and I set up a Facebook group for Rolla area women who are interested in participating in future Red Tent activities. Other Little Mother photo booth pictures are here. When my friend and doula Summer and I conceived of this event three years ago, we said we wanted to plan an event that we also wanted to go to. And, we did it again! While Summer was the central organizer and coordinator of this event and I was also responsible for a large portion of it, many other friends and community members came together to make this a true success! 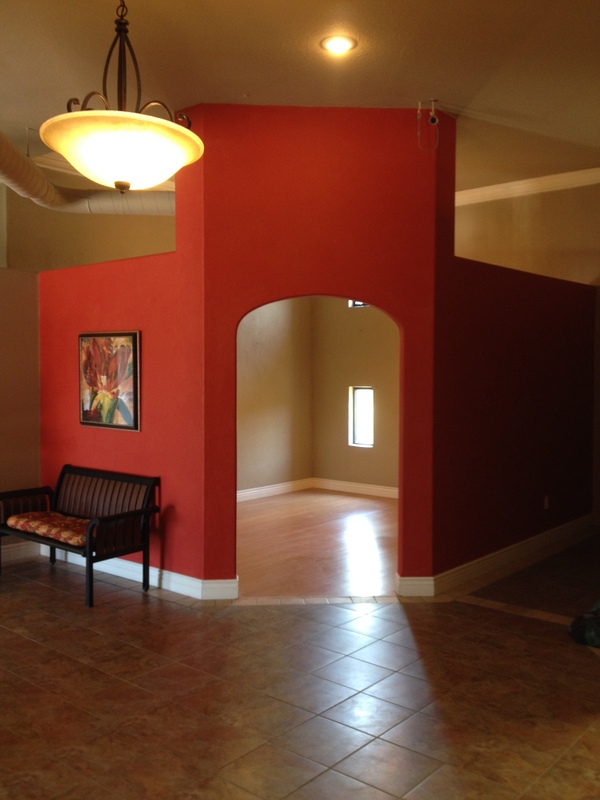 Huge, enthusiastic thanks to Tara Day Spa in Rolla for allowing us to host our event in their space. It is a beautiful and perfect and special setting for Mamafest!